Can Mold Grow in My Towels? 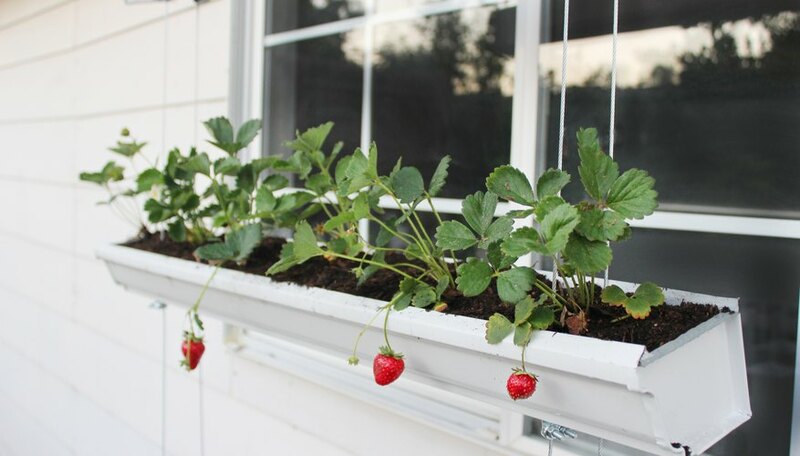 Build a hanging strawberry planter in a three-tier system, perfect for someone who doesn't have a lot of outdoor space. 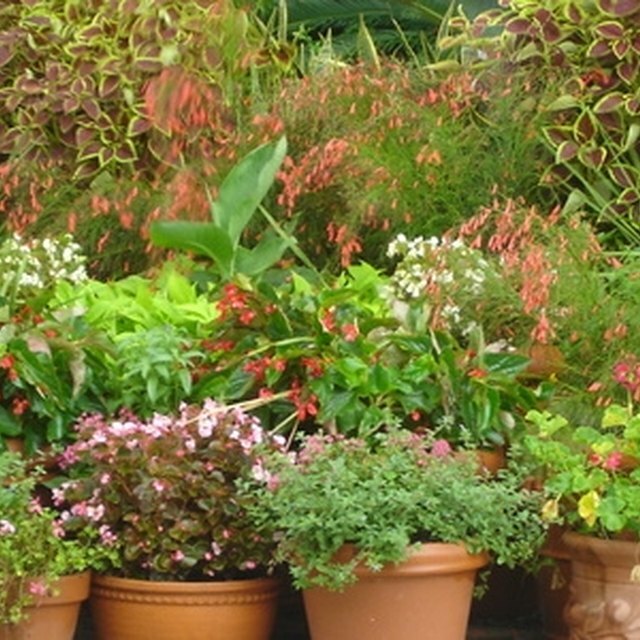 Who says you need a big yard to have a lush garden? Building a hanging planter out of rain gutters allows you to grow the fruits and vegetables you want while keeping your yard or patio space free and clear. Start off by cutting the gutter into three separate pieces measuring 40 inches each, using the jigsaw with a metal jigsaw blade. 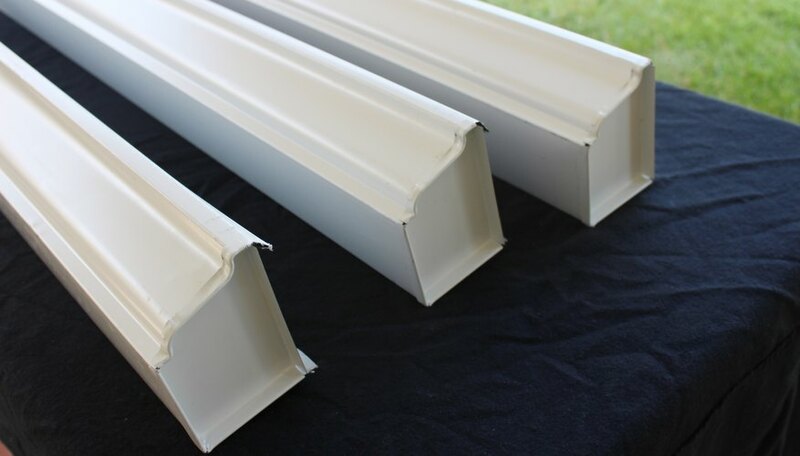 Attach the gutter end caps to the gutters, applying a bit of sealant between the end caps and the gutters to keep them in place. Choose a location where full sun is available to attach the eye hooks, since that is what strawberries need to thrive. Attaching the eye hooks requires a very sturdy wooden beam (two-by-four or larger). Use the drill and a 7/32 drill bit to drill two starter holes on the beam. Space the holes about 27 inches apart and then screw the eye hooks into place by hand. When you get too much resistance, you can use a wrench to twist the eye hooks even deeper. Use the 1/8-inch drill bit to drill holes in the gutters for the cable to run through as well as drainage holes for the water to escape. 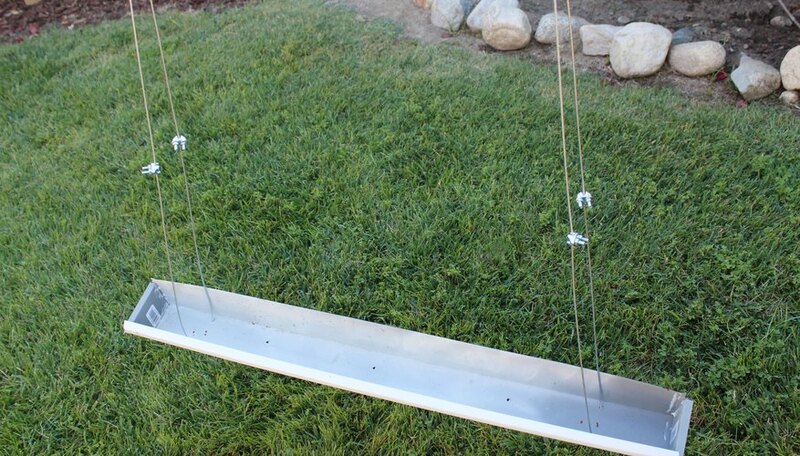 For the cable holes, measure 4 1/2 inches in from each side of the gutter and drill three holes. The outer two holes will be for the cable to go through while the middle hole will be used for a drainage hole. 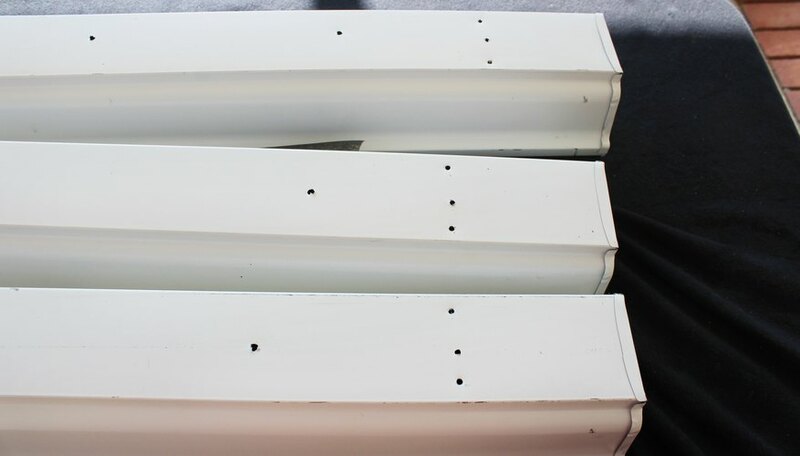 Between the sets of holes on each gutter, drill three more holes spaced equally along the middle length of the gutter for drainage. Be careful of the metal pieces that will fly everywhere while drilling the holes. Clean them up thoroughly so no one gets one stuck in their foot or hand. Take one of the cables and thread it through the two outer holes on one side of the gutter, with both ends of the cable coming up from underneath the gutter. Once the cable is threaded through, make sure the ends are even by holding them up to each other. Do the same with the other cable on the other side of the gutter. Measure 16 inches up from the base of the gutter on each cable and put a clamp on each cable -- you should have four cables to clamp. The clamps will act as the "shelf" where the other gutter will sit, so make sure each clamp is tight. String the cables through the outer holes on another gutter in the same fashion, having the gutter rest on the four clamps. Now measure another 16 inches up the cables and attach another four clamps. Again, this will act as the base for the next gutter piece. 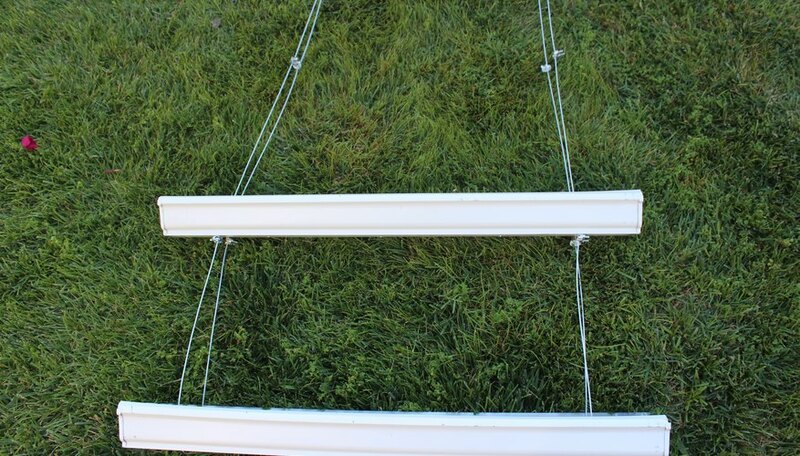 Place the last gutter on top of these clamps, and then use the last two clamps to cinch the tops of the cables together so that you form two loops at the top for hanging. Now that the cables are clamped together, you can place them over the eye hooks to hang the gutters up. 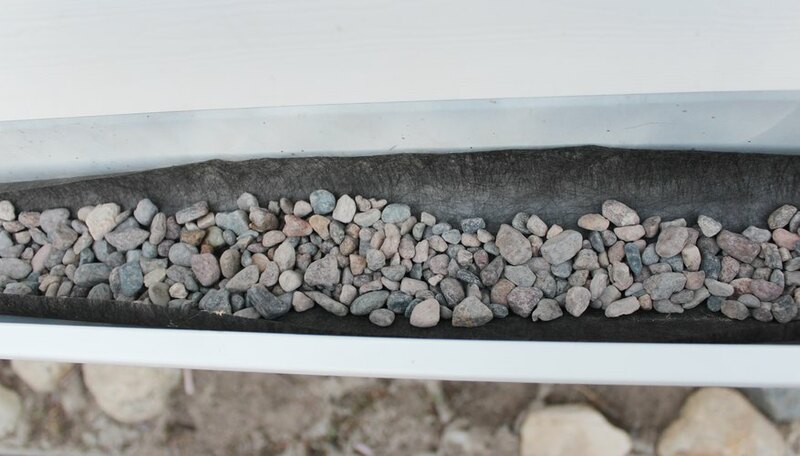 Once they are hung up, line the bottom of the gutters with landscape fabric (optional) and about an inch of pebbles to help the water drain properly. Beneath the rocks, you can place some polypropylene landscape fabric. 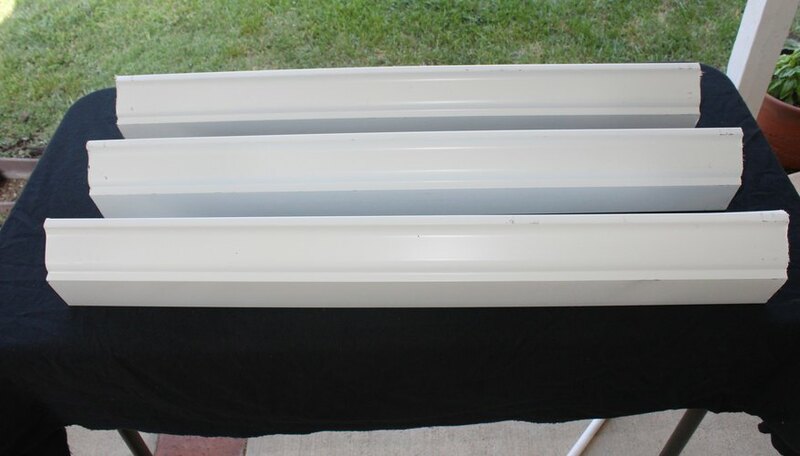 Using this fabric will make it easier to remove the dirt if you want to change out the dirt or plants in the future. Add some soil on top of the rocks and start planting the strawberries in the soil. Space the plants about 5 inches apart. Water thoroughly after planting. Be sure to water about 2 inches every week for the plant to produce lots of strawberries. Clip any dead leaves that appear from time to time to keep the plant healthy. Then all that's left to do is sit back and enjoy the fruits of your labor.